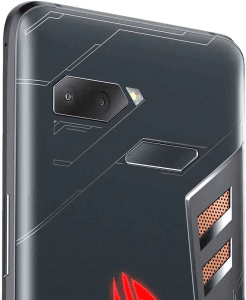 The Asus ROG Phone is rigged with AirTriggers, which are ultrasonic sensors that serve as extra control buttons for gaming, and it blusters with a premium-caliber 512GB maximum internal memory that more than makes up for its lack of a microSD card slot. That being said, it mimics other 2018 high-enders in terms of imaging by rocking a 12- plus 8-megapixel 4K-video-capable dual rear camera. 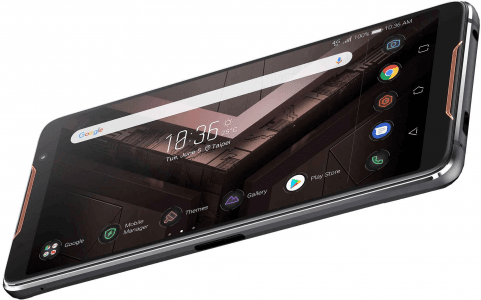 Pros and Cons Review The ROG Phone blusters with a 2.96GHz eight-core processor and an 8GB RAM, but it awkwardly settles for a 1080p screen resolution, instead of rocking a premium 1440p interface. Explore its gaming-driven specs in this technical pros-and-cons evaluation. (more) New ASUS phones View all the newest and upcoming ASUS phones. * Spec accuracy is not guaranteed. 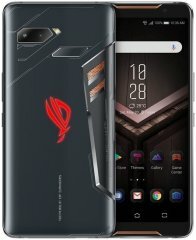 Please do a confirmation of the key specs before making a final choice. 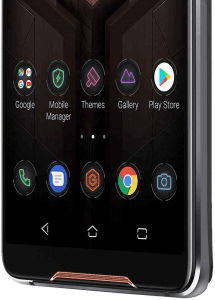 Cell phone manufacturers sometimes omit certain functions, making it difficult for us to guess whether or not a specific cell phone has a specific function. If you find an error in this spec sheet, please let us know as soon as possible.